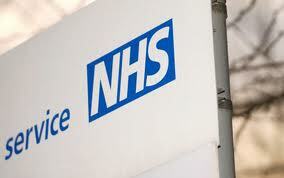 The Audit Commission have referred 19 NHS trusts to ministers because of concerns about their financial health. The referrals were made after a review of 98 trusts, which run a combination of hospital, ambulance and community services. The 19 trusts in question have been passed over to ministers because they have failed to break even financially, and auditors felt that plans to balance the books were not robust enough to tackle the problem over the coming years. The number of trusts referred is a worrying increase on the five trusts referred last year, and is yet another sign that the NHS is flagging financially. The Nuffield Trust has already warned that a quarter of trusts have finished the year in deficit, when surveying 250 trusts across the entire health service. The Audit Commission on the other hand conducted an in-depth study only of trusts that had not achieved foundation trust status, as these tend to be the most financially challenged organisations. The watchdog service had concerns over approximately a third of the group analysed, however the 19 trusts referred are identified as the ones with the most deep-rooted financial problems. Not only did these trusts fail to break even across 2013/14 but they also did not convince auditors that they could solve the situation in the medium term. By being referred to Health Secretary Jeremy Hunt, the trusts will now encounter a closer scrutiny from the authorities.